Track your email opens and follow up your sent proposals to make sure they get accepted on the Sent Proposal screen in Practice Ignition. If there is no icon, that means we do not have a record of the email being opened, and therefore you may choose to re-send the proposal to the client or follow them up with a phone call to get them accepted. You can also subscribe to notifications on email opens in your notification settings. Have a look at the notification setup article here. You can also filter proposals by whether or not the emails have been opened by clicking on the Filter button, then selecting from the Email Opened by Client option. How does Practice Ignition know when an email has already been seen by the client? 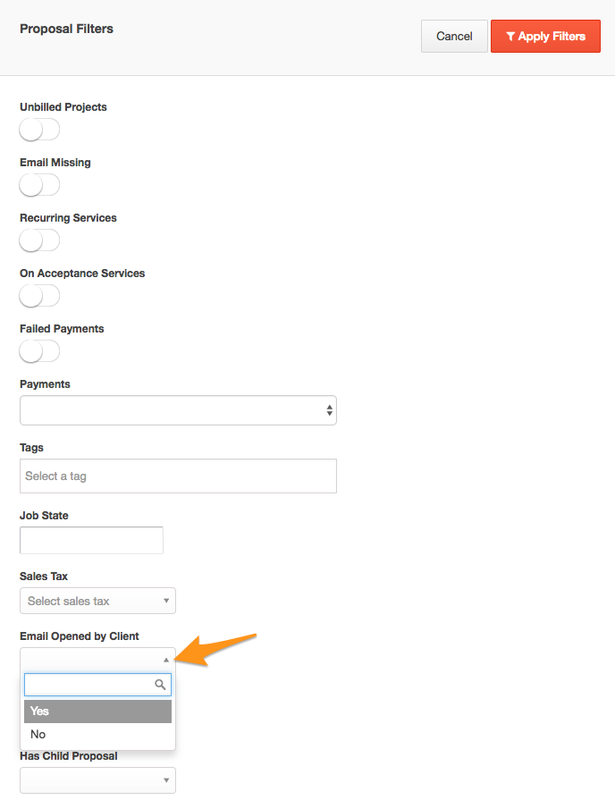 Practice Ignition sends emails with open tracking enabled. An invisible pixel is embedded into the email that allows PI to record information when the email is viewed. The email opened information is considered to be a good indication that a customer has opened the email but there are situations where this may not be 100% reliable. If the client views the email on an app that blocks images from loading, we can't track opens for those emails.